Driving and familiarisation programmes for the safe and efficient use of Electric or PHEV vehicles. With a surge in the use of PHEV’s due to improvements in technology and taxation benefits, how do I ensure safe operation and maximum efficiency of these innovative vehicles? 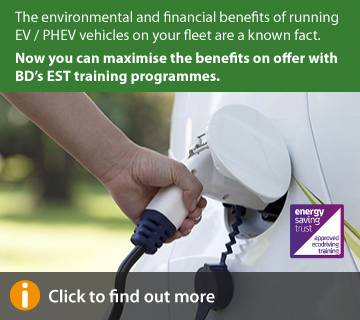 Business Driver’s comprehensive PHEV training programmes ensure drivers operate these vehicles safely, confidently and efficiently. With EVs &PHEVs increasingly introduced as a part of modern driving fleets of cars and vans, it is crucial that drivers receive expert training in the unique operation, maintenance and driving strategies required to maximise safety and efficiency. Our comprehensive half-day training course is delivered on a one to one basis in order to address individual driver’s requirements. In addition to vehicle familiarisation and in depth, on road coaching, delegates receive instruction in maximising range, charging strategy and maintenance. Business Driver are constantly looking ahead, updating existing and introducing new programmes in order to provide the most comprehensive and up to the minute fleet risk management available.